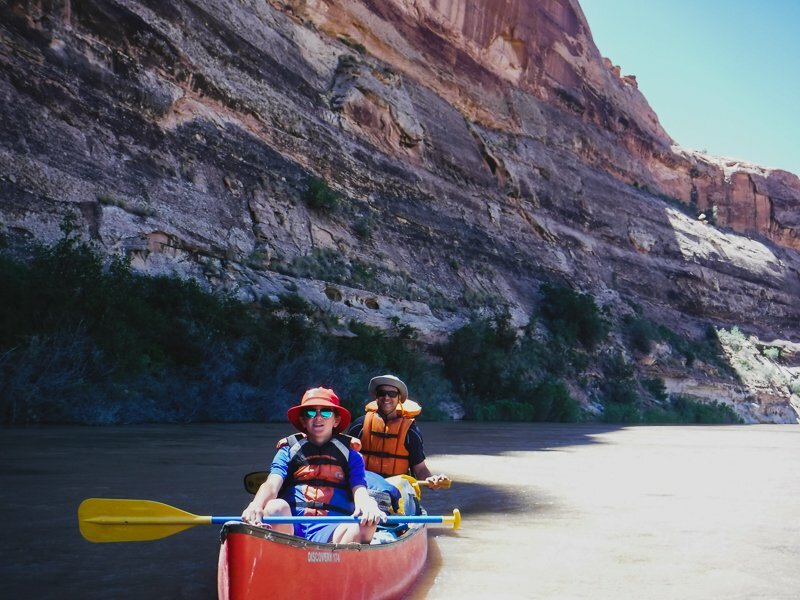 Paddle down the Green River through incredible Labyrinth Canyon. 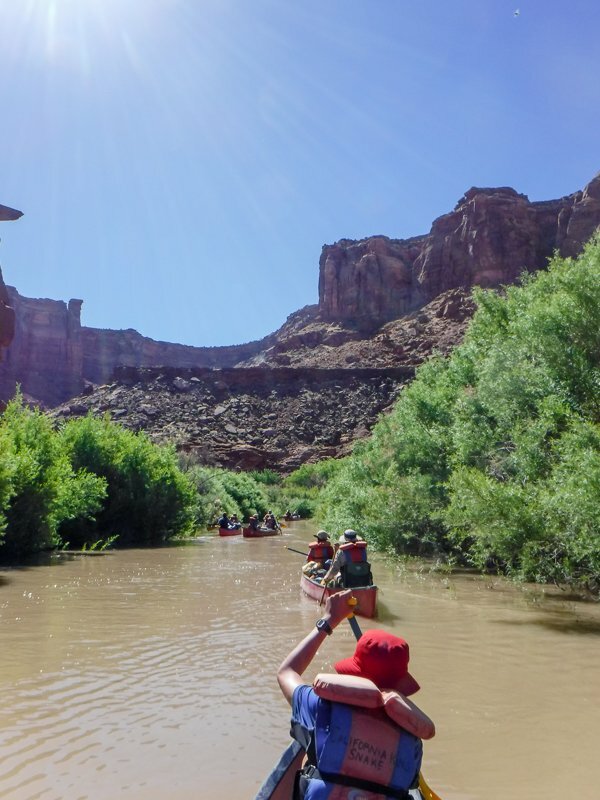 This is CFI’s longest-running river trip! We love Labyrinth! 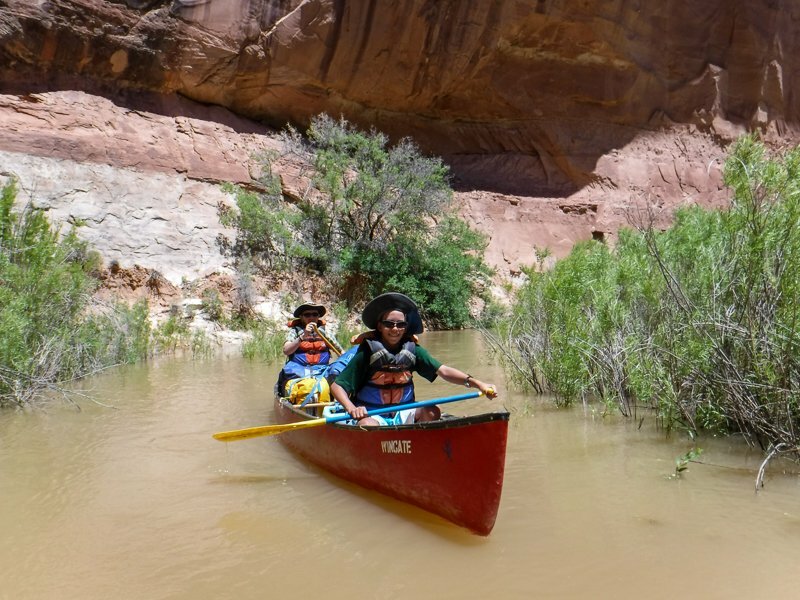 Immerse yourself in the beauty of the serene waters of lovely and remote Labyrinth Canyon, proposed as Wilderness by the Bureau of Land Management. 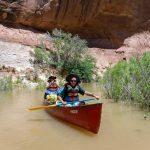 This stretch, which runs from or near Green River to Mineral Bottom, Utah (adjacent to Canyonlands National Park) has been featured in many adventure travel magazines as a must do for both seasoned or beginner paddlers in the canyon country. 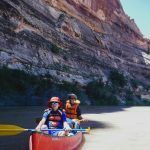 This calm water float trip is a favorite of our guides and this is our longest running multi-day trip. 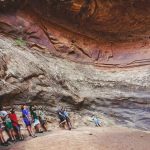 Since 1985, we have hosted countless school programs and special custom trips for yoga and women’s groups. 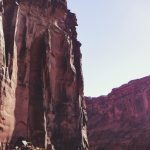 Our trip starts in Green River, Utah with a motel stay and tour orientation at 7:30 pm the first night. 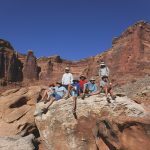 After breakfast and a short visit to the John Wesley Powell Museum nearby, we head to the river, spending five to six days on the river depending on the launch point and trip. We take out early afternoon on the last day and return to town by 5 to 6 p.m. Your lodging that night is on your own. 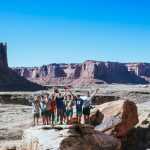 Late spring and early autumn are the perfect times to take this trip – beautiful light, quieter days, comfortable weather. 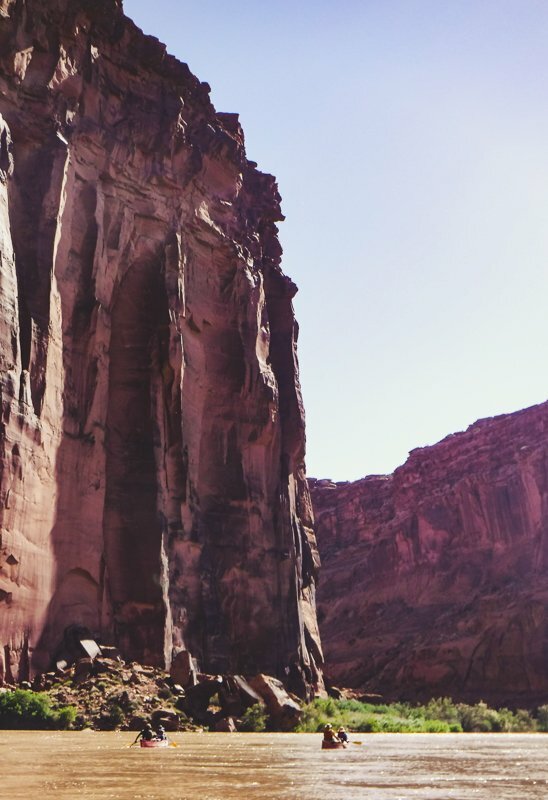 Learn about river life from the prehistoric Native Americans to 19th-century fur trappers and outlaws, and 20th-century miners and river runners. 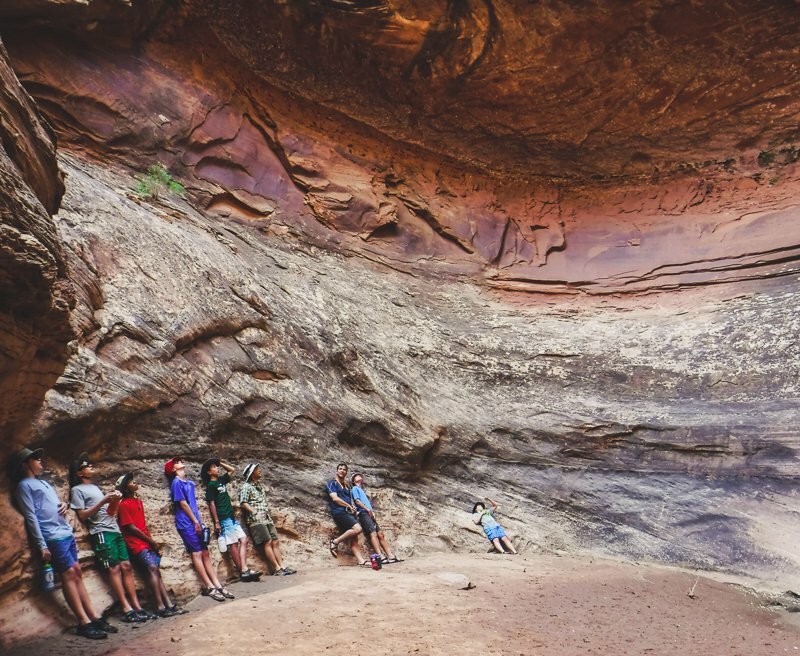 Stories about Major Powell’s 1869 and 1871 expeditions highlight the week while short interpretive hikes and talks teach geology, riparian ecology, and issues facing America’s public lands. CFI provides canoes (17 ‘ Old Towne) and all river and kitchen gear. Participants must be able to paddle a full day (4-6 hours) and help carry gear to and from canoes. 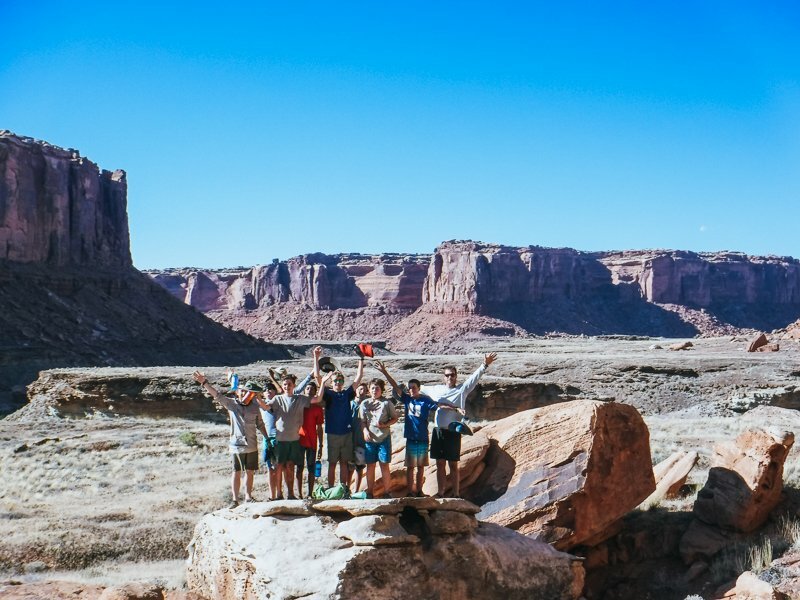 Like all of our trips, we feature a participatory style so you’ll help with light camp chores. Learn canoe strokes, how to read the river, river safety, Dutch oven cooking and outdoor etiquette. We start the days with warm-up stretching and river quotes. Enjoy great conversations or quiet solo time in camp, and the chance to explore more if you choose. Our meals on the canoe trip are healthy and hearty while keeping things trim and light for our boats. There are foods to please meat eaters and vegetarians alike. You can expect breakfasts of pancakes and bacon as well as fresh fruit, muffins, and cereals. Lunches may be deli sandwiches packed in the morning and ready for a hike, or picnic style smoked salmon with crackers or chicken-curry wraps. 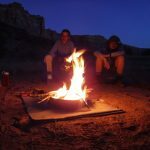 Dinners include steak and Dutch oven potatoes, lasagna or grilled fish. We feature regional beef and pork and fresh locally grown greens and vegetables in our meals. Your group leader receives a complimentary spot once the minimum of six paying participants. Beyond this seventh spot, additional participants are full fee. Fee includes motel stay double occupancy and orientation the night before, a visit to the nearby Powell River History Museum, park/launch fees, delicious meals from breakfast at motel through lunch last day, and transportation to/from river or shuttle of your private vehicles to take out. For moderately active individuals, experienced or beginners welcome. 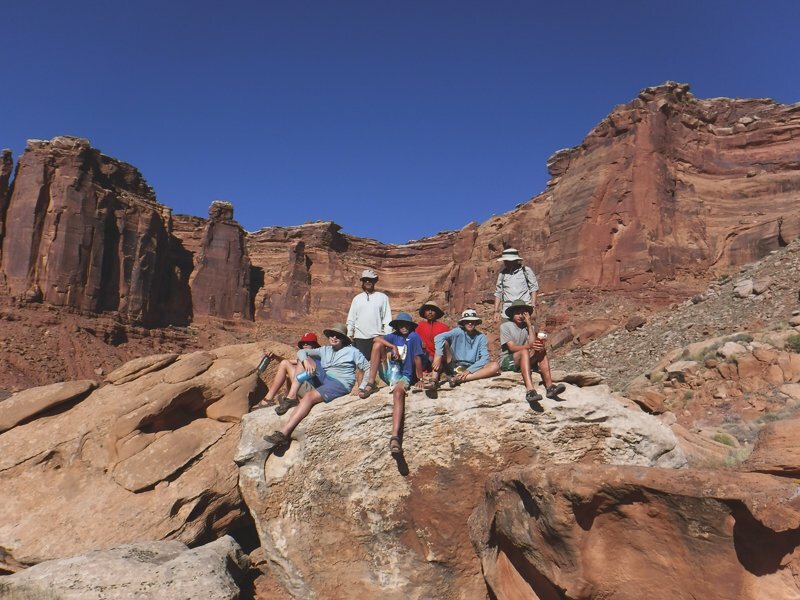 Our CFI trip takes time to explore many side canyons on short hikes plus limit time in canoes to 5-6 hours per day. 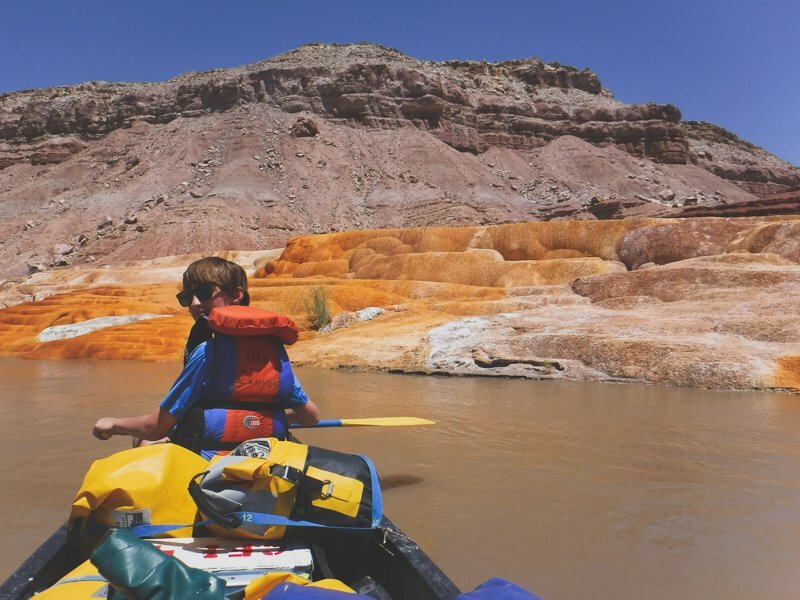 A fantastic flatwater wilderness canoe trip, suitable for families with kids 12 yrs and older. 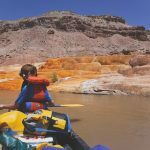 For families with younger kids, we would change this trip to use rafts. 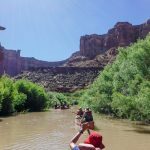 Depending on the length of trip and water level typical for the time of year you choose, our launch point will be either Green River State Park (longer trip) or Ruby Ranch (shorter trip).